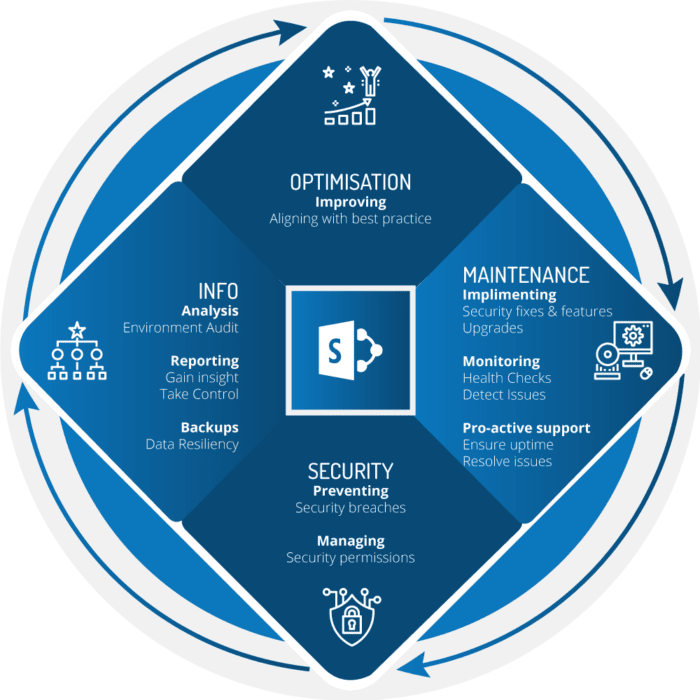 Inadequate management of your SharePoint platform could have catastrophic consequences such as security vulnerabilities, lost data and downtime, which could cost you millions. SharePoint platforms are used to store confidential information. Ensuring that your organisation’s confidential information is secure should be priority, and data breaches should be avoided at all costs. Compliance to the POPI Act includes keeping another entity’s information safe, and being held accountable if their personal information gets exposed. Downtime and long loading times of your SharePoint platform could lead to lost opportunities as it interrupts the business processes. Some SharePoint services are required by employees and third parties in order to do their work. When those services become unavailable, the affected parties won’t be able complete certain tasks. This can bring down overall productivity, and advance into profit lost, as the costs associated with these employees and service providers are already fixed. Reputation is one of a company’s biggest assets. Reputational risk should be minimised by managing your SharePoint platform accordingly. Is your SharePoint environment managed optimally? Is your SharePoint environment performing efficiently? Is your confidential data backed up and secure? Are you maximizing the return of your SharePoint investment? Anyone who would like to maximize the use and benefits of SharePoint across the organisation. We will assist you with making the right decisions to ensure that you use SharePoint optimally while maximizing efficiency & productivity across your business. Our premium service will offer you our expertise in SharePoint & custom solutions, that is required to maintain, optimise and automate your business processes while minimizing unnecessary risks of interruptions, downtime and security vulnerabilities. Contact Henk Steyn, Managed Services Lead for a free Business Environment Audit.